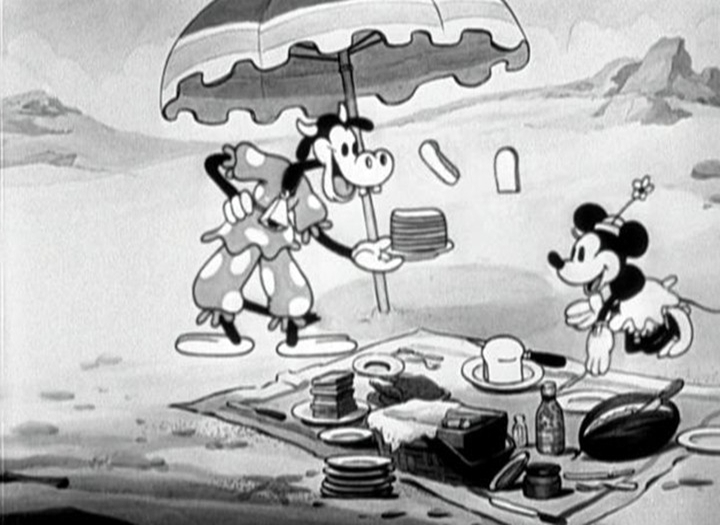 You are currently browsing the tag archive for the ‘Clarabelle Cow’ tag. Mickey’s got his own radio station at the barn. 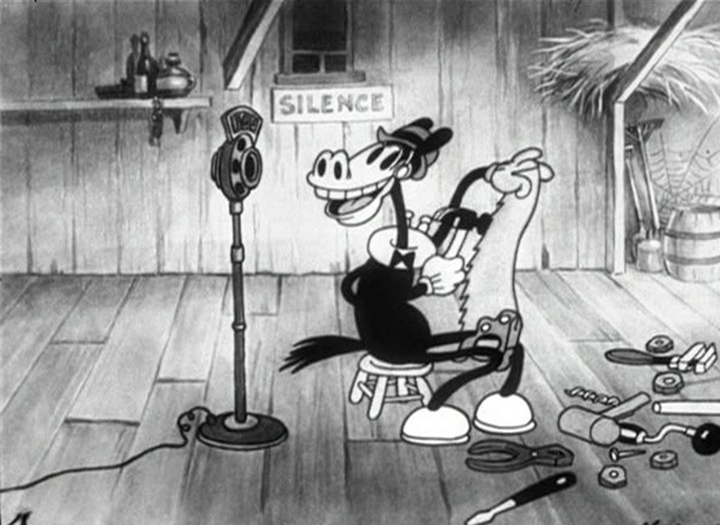 There, Minnie, Horace Horsecollar and Clarabelle Cow perform some music to broadcast. All goes well, until a cat and her little kittens cause havoc in the studio. 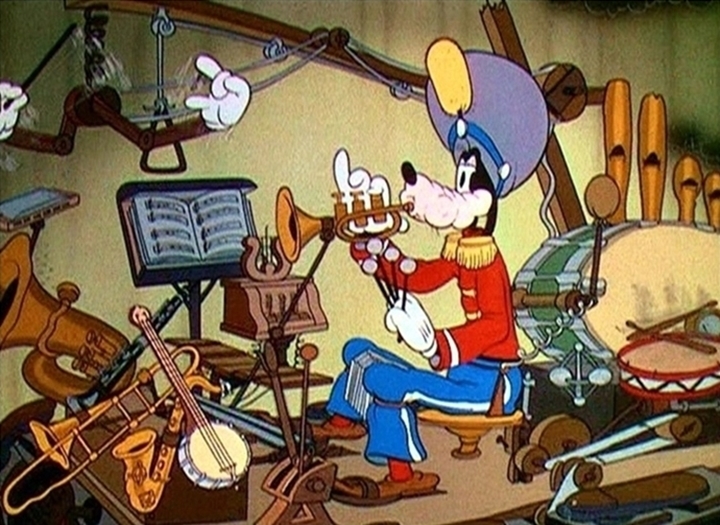 Mickey has a hard time chasing them away, and during his efforts all instruments are destroyed. 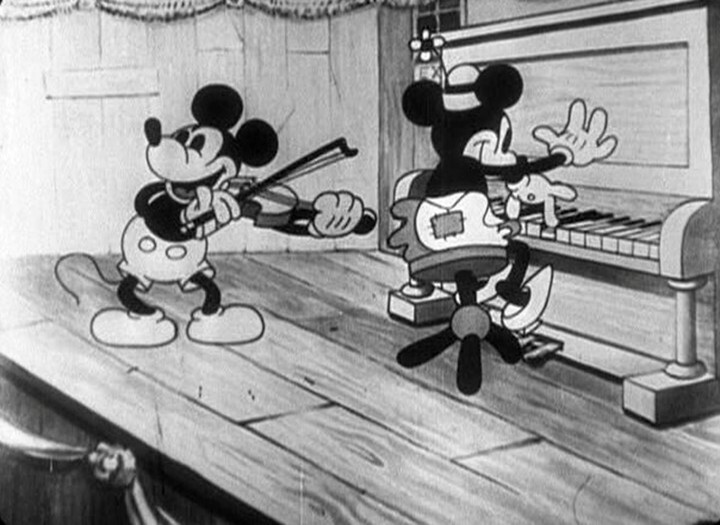 ‘The Barnyard Broadcast’ reuses the cat from ‘Mickey Steps Out‘ from two months earlier, and it introduces the numerous kittens that would cause Mickey lots of trouble in the subsequent films ‘Mickey’s Orphans‘ (1931) and ‘Mickey’s Revue‘ (1932). 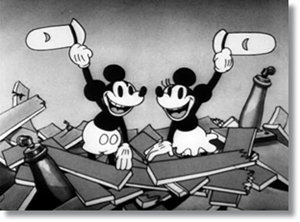 After that their role would be taken over by the orphan mice, introduced in ‘Mickey’s Nightmare‘ (1932). 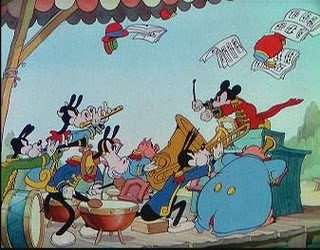 After ‘Mickey Steps Out’, ‘The Barnyard Broadcast’ is another attempt in building a finale in a string of gags. The film is not entirely successful in this and only gains momentum when Mickey chases the cat away with a broom. 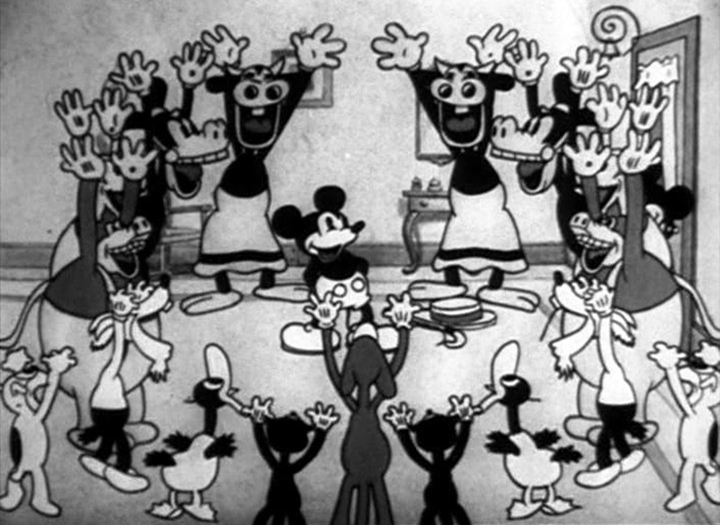 The technique would be perfected in the subsequent films, ‘The Beach Party‘ and ‘Mickey Cuts Up‘. 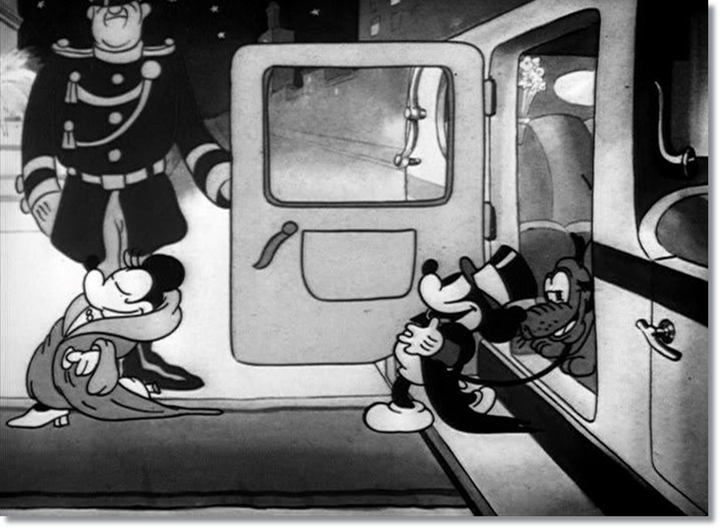 Mickey and the gang are staged in many different times and places in their cartoons. Yet, this medieval short is the only cartoon in which they are introduced as actors performing their parts. 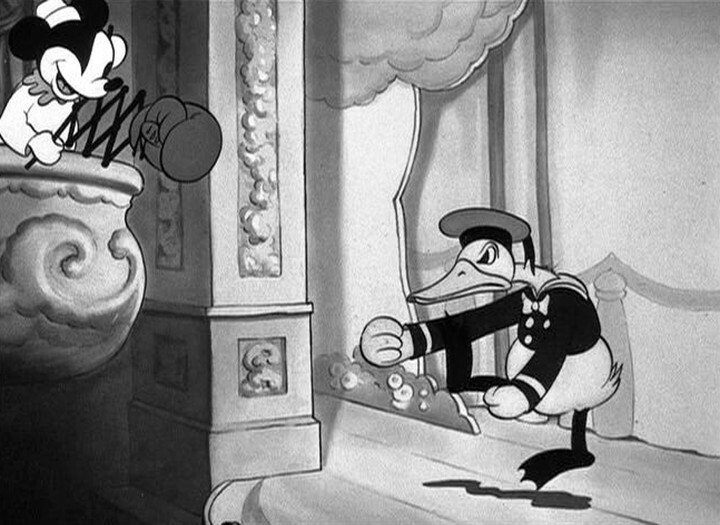 This idea of Mickey being an actor was first coined in ‘The Wayward Canary’ (1932) and played out to the max in ‘Mickey’s Gala Premier’ (1933). 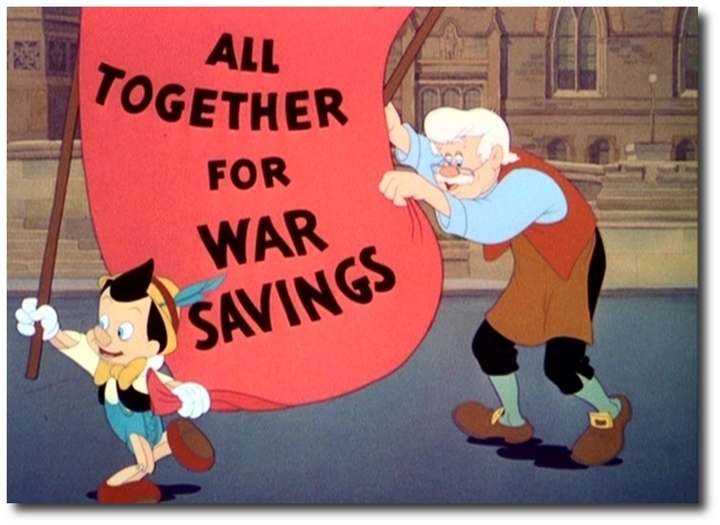 This cartoon nevertheless is played without any awareness of the public. 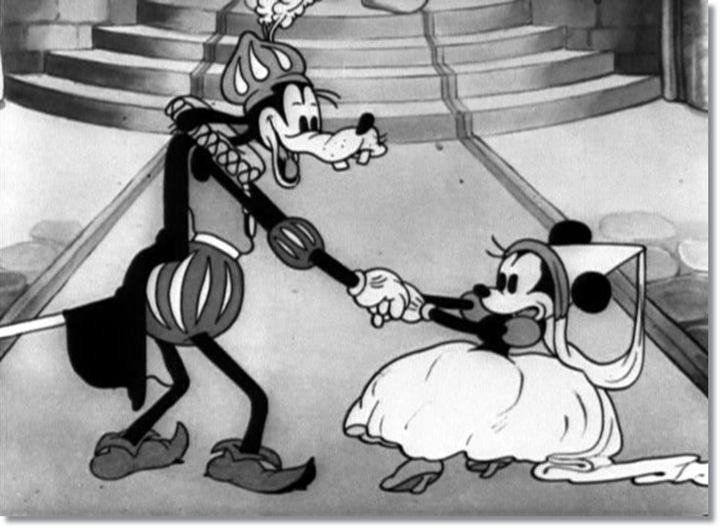 Minnie is the princess of Lalapazoo, and forced by her father to marry prince Goofy from Pupupadoo. Minnie refuses and is locked up in the high tower. Fortunately, there is minstrel Mickey to save her and to battle the evil prince, chasing him through the window, and marrying the princess himself. 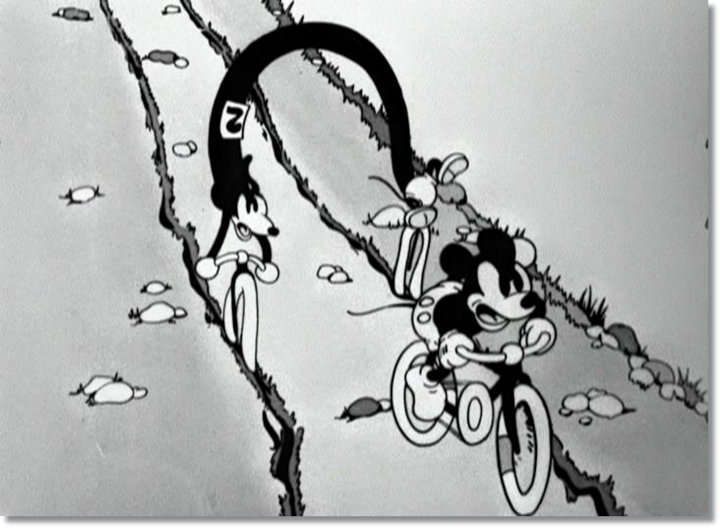 This adventure film cliche Disney already had visited in the Oswald cartoon ‘Oh, What A Knight‘, but it is expanded and improved in ‘Ye Olden Days’. Like ‘Building a Building’ and ‘The Mad Doctor’ from the same year, this cartoon is partly a musical with lots of parts sung. It also contains a very anachronistic guillotine and an elaborately designed horse that shows the aspirations of the studio to master more lifelike designs and animation. 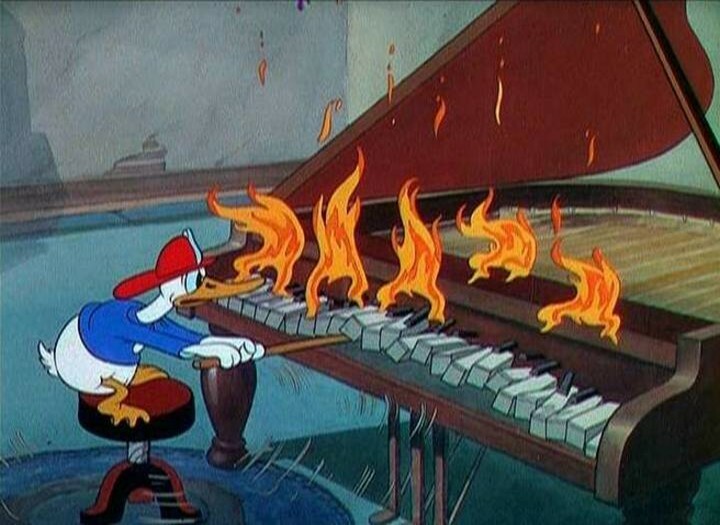 Goofy, who is introduced as Dippy Dawg, is quite miscast here, playing the villain, whom he acts out more sillily than threateningly. It seems that the animators didn’t really know what to do with the character, so far only funny because of his typical voice. So, after this film they dropped him for more than a year.